Start em young I say. Both boys have just turned 5. First up was a silly hare who tried to hide on the track from the farmer at 5m range. We were following after, so missed a shot. 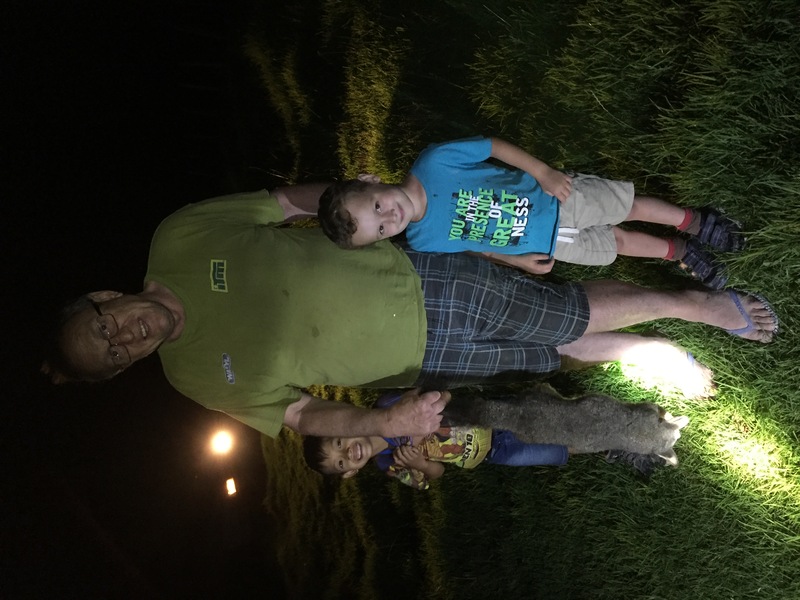 The boys were fascinated with the recently deceased animal, it’s soft fur and what happens after you shoot and dress it. I’m taking the pic, so that’s my mates grandson, him and my boy on the right. Next up was a tree bear that was dumb enough to be a ‘sit on the wooden paddock gate bear’ instead that I slayed with my .22lr AR (not pictured) at about 1 metre range. It’s mates that it was squabbling with were very lucky that I wasn’t sure about a safe background. 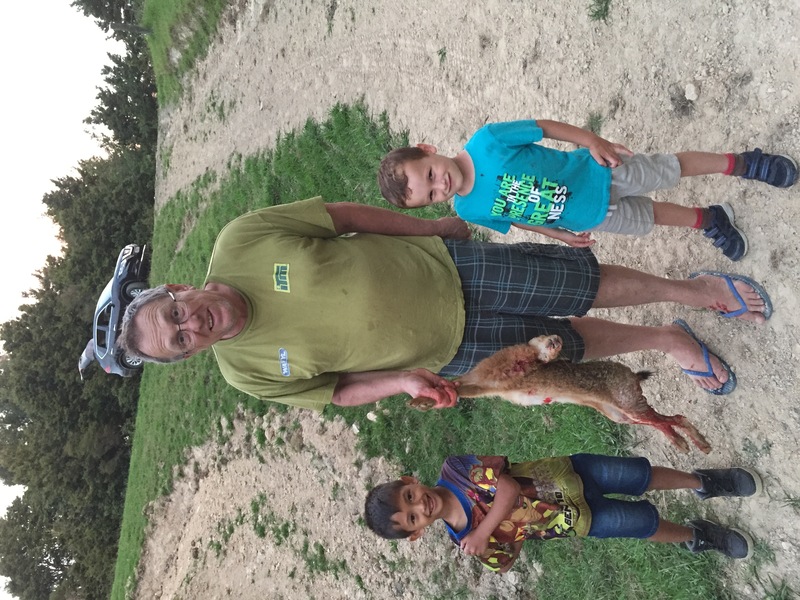 Next morning I zapped Harry the Hare at around 110m with my Sako .223 (in the background). This was less than 300m from camp, so close I hadn’t even checked the POI with the new DPT can when Harry was silly enough to lope in clear sight on the track in the morning sun. Seems the POI with can is nearly the same as without it. Bonus. No recoverable meat though, as the 65gn Gameking Gameking quartered through the shoulder and exploded out the other side. Very messy. 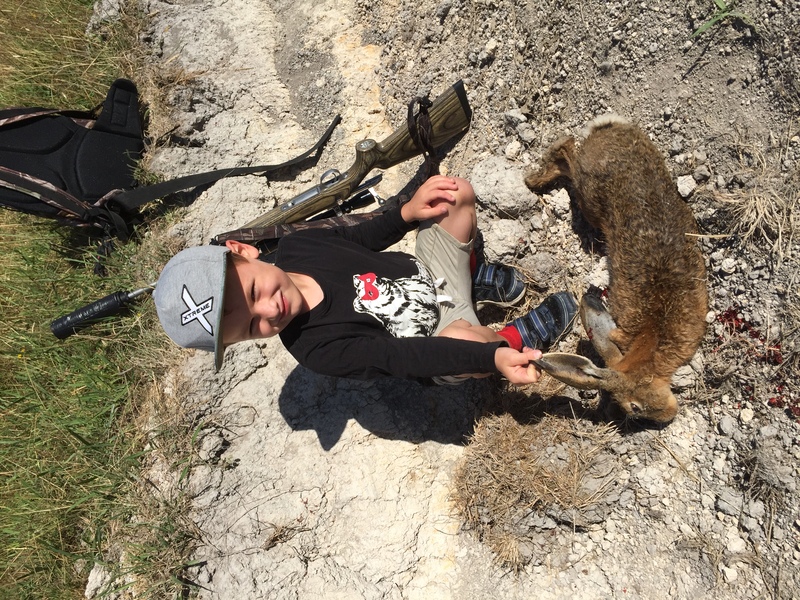 The boys loved shooting the .22lr on a steel plate and seeing how real furry and cute animals were dressed and chopped. No greenie vegan influences from daycare and school thank goodness. veitnamcam, Dundee, Rich007 and 12 others like this. excellent fun with the boys and something they will remember.nice one. Good stuff, so good to get out there with the kids. "it’s mates that it was squabbling with were very lucky that I wasn’t sure about a safe background." Future hunters in the making. Real life experience, great stuff. The photos were the right way up on my mobile, which I used to upload the story. But not in Chrome. Annoying. Awesome, couple more years and I can get my kids doing the same. All times are GMT +13. The time now is 09:52 AM.